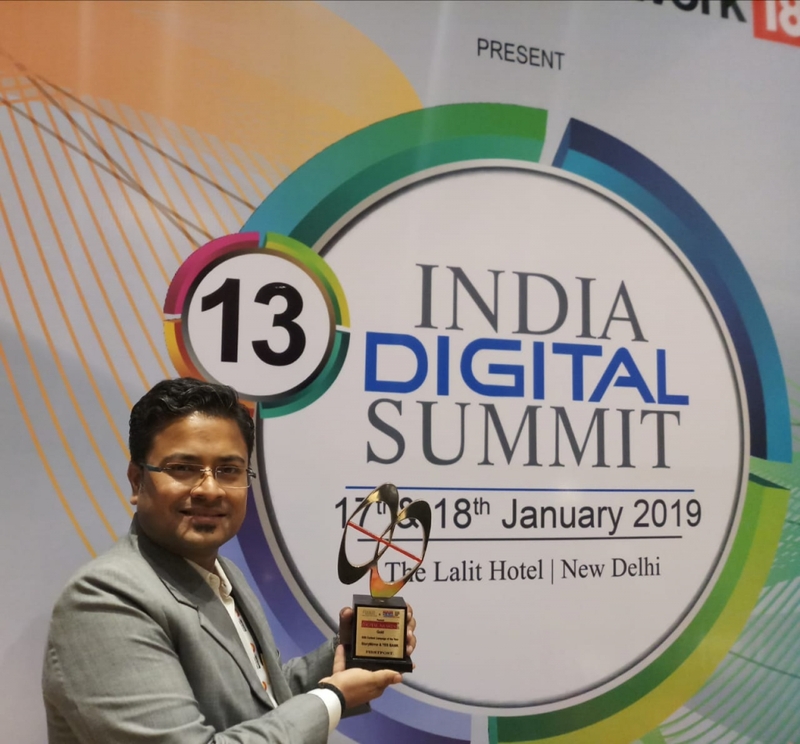 Shri Hitesh Jain's venture StoryMirror recently won the "B2B Content Campaign of the Year - Gold" Award at the 9th India Digital Awards by the Internet and Mobile Association of India (IAMAI). StoryMirror won the award for its writing campaign, "YES, I Write", a corporate writing competition held in association with YES Bank. Shri Jain is from the 23rd batch of IRMA's flagship PGDRM (PRM 23). More details about the event can be viewed here.